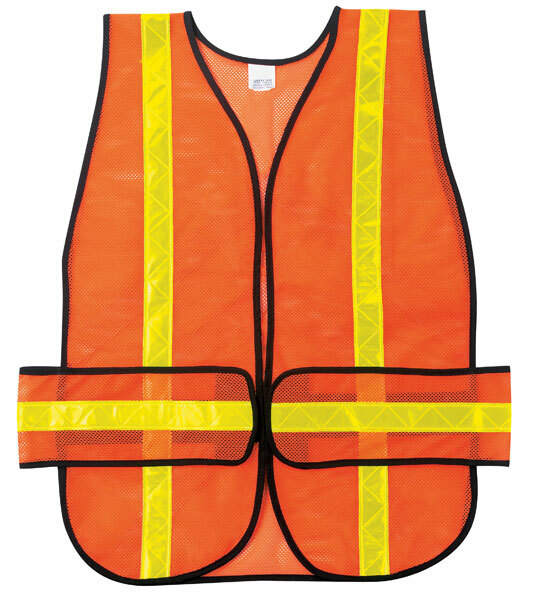 These general purpose vest are not ANSI compliant, but you will be covered in bright Fluorescent Orange or Fluorescent Lime colors in order to stand out against your surroundings. One size fits most unless otherwise stated. Avalable in a variety of configurations and colors. The CHEV2O is an orange polyester mesh vest with 1 3/8" lime chevron pattern reflective stripes. Other features include hook and loop adjustable straps to fit a variety of sizes.